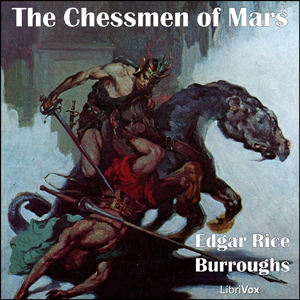 The Chessmen of Mars is a science fiction novel by the mental sword and physical pen wielding author Edgar Rice Burroughs. It the fifth installment of his Barsoom series. The Chessmen of Mars is a tale of wonder and excellence that follows John Carter and Dejah Thoris, along with their daughter Tara, princess of Helium, as she is sought after by Gahan, Jed of Gathol. Adventure and perile ensue as the story unfolds. Note: The Prelude and Chapter 1 are read by two different readers. Variety is the spice of life.